The Poldarks determine to get their relationship back on track and the Enyses announce they’re with child. 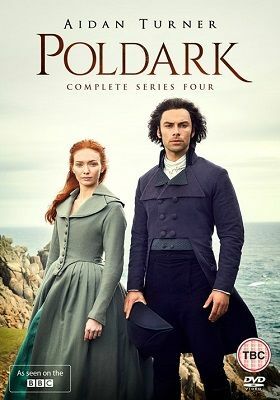 Hugh’s worsening health threatens his chance to stand in the election however, and the prospect of him remaining in Cornwall adds pressure to the Poldark’s fragile marriage. At the Sawle Feast, Tom Harry challenges Sam to a wrestling match. Falmouth offers the candidacy to Ross but will he accept? In London, Ross must rise to the challenge of Parliament, but the distance from Cornwall brings trials of its own; he also reunites with a now adolescent Geoffrey Charles. George, refusing to accept defeat, begins stacking the odds in his favour in the hope of buying his way back into Parliament. Ossie meanwhile tends to a dying parishioner, Nathaniel Pearce. Demelza contends with a failing mine and fixing Drake's broken heart. Ross is reunited with his family at home, but tragedy strikes into Wheal Grace and Wheal Maiden's tunnels. Lord Falmouth urges Ross to return to Westminster as George's alliance with Adderley gives him the opportunity to purchase a borough of his own. Dwight tells Caroline some devastating news about Sarah. George increases the strain on the struggling poor; To his frustration, Ross's efforts in Westminster meet successive failures, driving Ross to make a risky gambit. The adversity the Poldarks face, however, may not be confined to Cornwall alone. After it is revealed that Nathaniel Pearce embezzled Pascoe's client's funds, the Warleggans take action. In London, Ross finds Geoffrey Charles led astray by Adderley. Sam convinces Drake to return from exile following his abandonment of Rosina and Morwenna's subsequent rejection and Morwenna reveals some news. Dwight meanwhile helps in the development of Truro's infirmary. The Poldarks, Enyses and Warleggans enjoy London's distractions. George dotes on Elizabeth, delighting at the prospect of an heir and announcing plans to host a charity ball, but their domestic bliss soon comesunder threat. At the Warleggan ball Adderley takes a fancy to Demelza, betting George he'll cuckold Ross within a month, which gives rise to deadly complications.